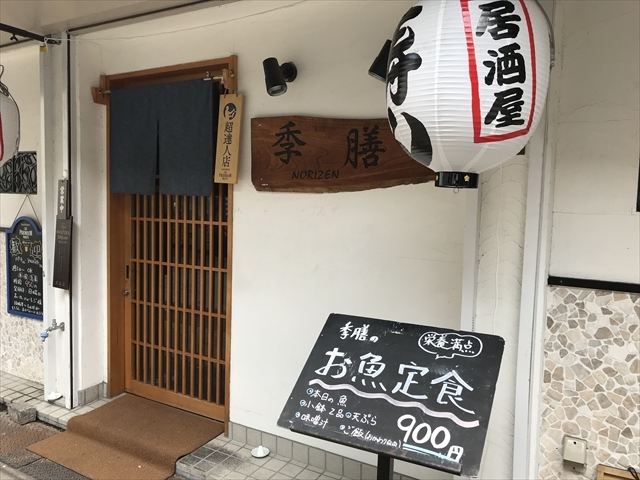 I called on "Norizen" Izakaya restaurant to take a fish lunch set. I could select baked or boiled fish, both seemed delicious, but I chose baked. 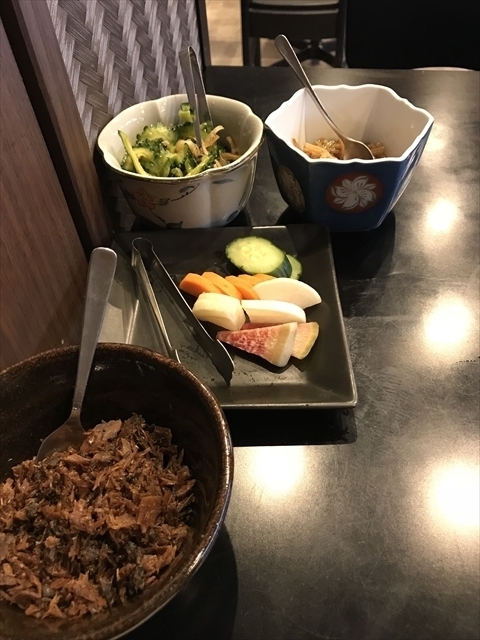 On the table, I found these additional dishes of Vinegared of bitter gourd, Nameko mushroom, Homemade Furikake topping. Those were tasty, good dishes, notably Vinegared of bitter gourd is wonderful bitter and sour taste harmony. This was the set plate. I enjoyed the baked fish which wonderful baked, soft and flaky textile. I had also tasted, tender Miso soup, elegant Tempula cuisine. 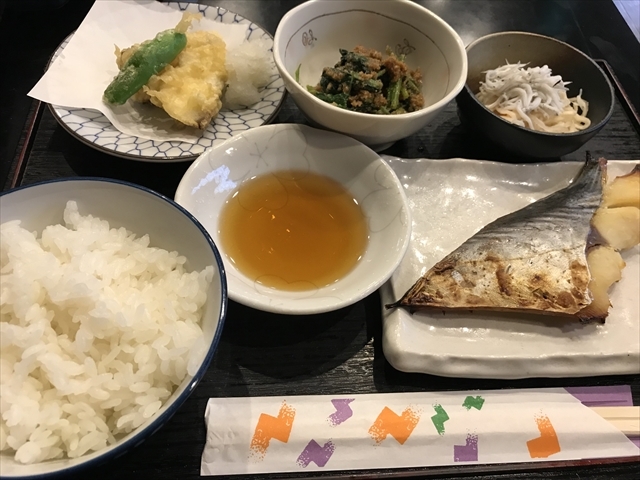 It was really good for health, lunch dishes.